AIS offers flexible solutions to increasing the safety of sailing, monitoring vessels in busy waterways and increasing the fun aspects of sailing. There are many different AIS products, each designed to meet a different requirement. From search and rescue aids to navigation devices for large commercial vessels, and from testing the marine environment to monitoring threats to national security, AIS offers a solution for most marine requirements. To ensure each product is able to work within the AIS system, it must meet a strict set of IEC standards. AIS is a carfeully balanced solution, using a slot map system, that requires multiple independent devices to work together within a small space. It is therefore important that each product meets these strict standards to ensure interoperability. Below is some information on each AIS device type, if you would like more detailed information, visit the AIS technical information section. 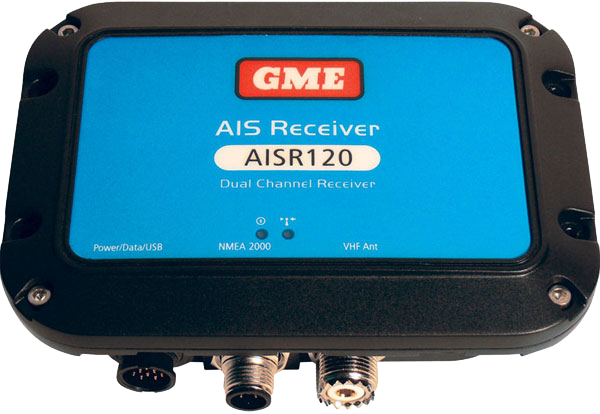 The Class A AIS transceiver was designed for large ocean going vessels on international voyages. In 2002 the IMO passed a mandate that these vessels needed Class A units installed to aid safety and identification. Due to their specifications, Class A devices are aimed at large commercial or passenger vessels who travel on international voyages. This is due to many factors including the extra power, space and antenna requirements. Class A devices are larger than other AIS devices due to the features included inside, they also require two antennas to ensure their data gets through, and output more power to maximise range. The main benefit of Class A devices is the increased range and 100% assurance that the AIS data will get through to the AIS slot map. Class A devices use Self Organised Time Division Multiple Access to transmit their data. This is system reserves their slots for them and therefore ensures their data gets through. Class B transceivers were pioneered to offer AIS benefits to smaller vessels. Class B devices offer lower power, fewer receivers and different display options to a Class A transceivers. 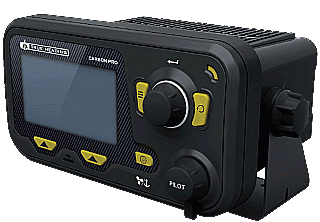 Coupled with cost savings, Class B devices are ideal for mariners with small pleasure craft or fishing boats. Class B units are designed for smaller vessels with fewer power options, less space and fewer antennas than a large commercial vessel. The lower transmission power means their range is significantly less than a Class A device, but this is compensated by the anticipated stopping distance in an emergency situation of the vessel compared to a large commercial vessel. Also, the devices are a lot smaller than a Class A device, ensuring they can be installed quickly and integrated easily to many different displays. As smaller vessels rarely include a second antenna, most Class B devices need to use an antenna splitter to regulate use of the VHF antenna between the VHF radio and AIS device. AIS offers many benefits to Aids to Navigation including chaining which can increase an AIS base station’s range, weather and sea monitoring capabilities and vessel monitoring and tracking. AtoNs are designed to be deployed close to land, or out at sea and have many benefits to both mariners and coastal monitoring centres. The key differentiator between AtoNs is their power consumption. As they are stationed out at sea they must rely on the power generated by the buoy, largely using solar panels, which also powers the other systems onboard the buoy. 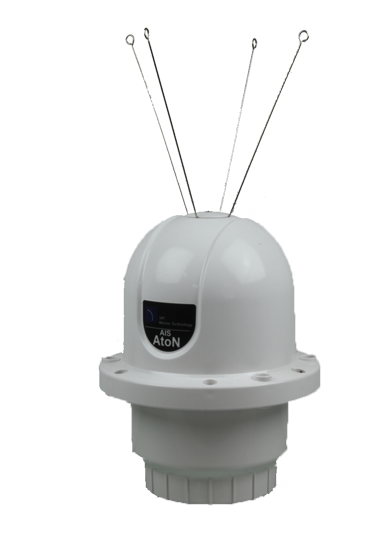 Depending on power consumption, AtoNs can be feature rich including sensors that monitor metrological and hydrological factors, chaining capabilities to increase the range of base stations and monitor traffic in ports and along the coastline. AtoNs offer two different types of transmission types - Random Access Time Division Multiple Access and Fixed Access Time Division Multiple Access. Devices that use the FATDMA transmission type have their slots on the AIS slot map controlled by AIS base stations ashore. This ensures their transmissions get through, and keeps power consumption down. RATDMA type AtoNs use more power as they behave like a Class B device and must power up prior to sending to scan for available space. 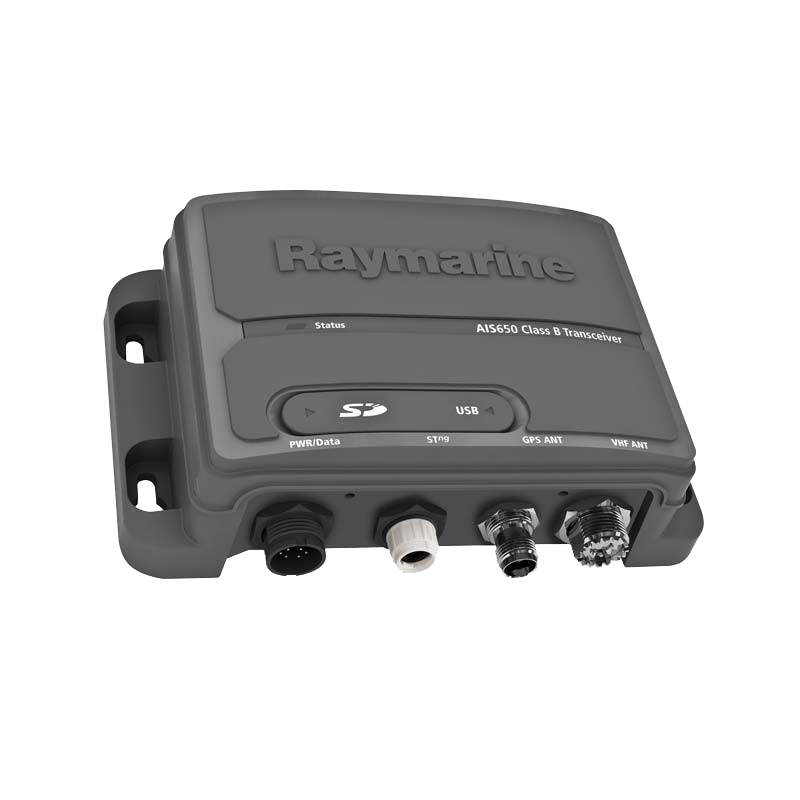 Whilst FATDMA devices are largely used for environmental testing, RATDMA devices can be used for monitoring traffic and enhancing the range of a base station. In an emergency situation, mariners have predominantly used radar SARTs as a means to alert ships they are in distress. However, AIS SARTs offer many benefits including the ability to see around headlands as well as transmitting the heading and speed of the life raft. AIS SARTs offer enhanced location finding in an emergency, sending the life raft's positiong, heading and speed with the AIS data. This is the primary benefit over other technology as it allows rescue craft to plan an intersect course quickly and efficiently. According to IMO standards, all AIS SARTs must give a minimum of five years battery life in standby mode, and 96 hours battery life when activated. As well as this, they must also include a test feature and user interface that identifies battery status, mode status and other technical details for example if there is a GPS fix. 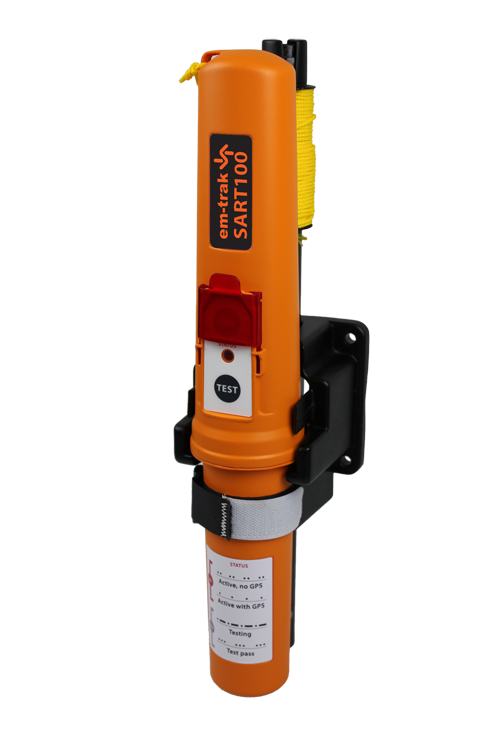 AIS SARTs must also include a 1 metre pole that allows the SART to be fixed to the liferaft giving it greater range when activated, 10 metres of buoyant rope and a a mouting bracket. SARTs use Pre Announced Time Division Multiple Access to send its AIS data. It transmits its position, speed and heading eight times a minute, so that at least one of the transmissions will be at the top of a wave; maximising range. Base stations also allow control over the slot map by reserving space for AtoNs using FATDMA to broadcast into. Base stations can offer many different connectors, allowing connection to many different display systems, including PCs, chart displays, or wireless enabled devices. They can be found in AIS stations along the coast housing large antennas that maximise VHF range.